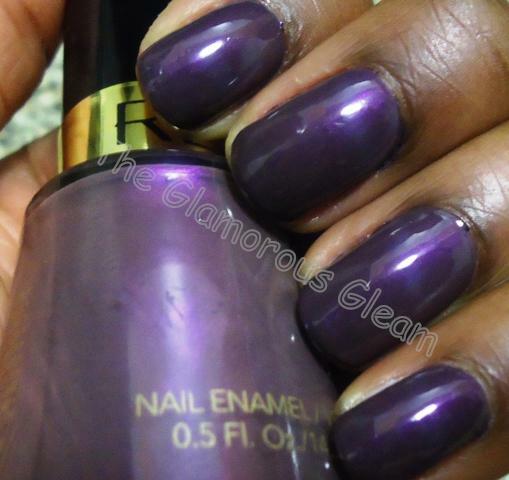 Revlon Purplex is a deep purple with charcoal undertones and super fine light purple glitter. My top coat (Seche Vite) is super glossy, making it hard to catch the glitter particles, but you can see it slightly. My oh my do I love this shade. I can’t stop sneaking a peek at my nails. I have nothing similar in my collection, NADA! I know this shade has been really hard to find for some, so I picked up all that was left on the display… for a giveaway! Four Lucky Winners will win their own bottle of Revlon Perplex! 1. You MUST be a subscriber of my blog through Google Friend Connect. Subscribing is easy, just click the “Join This Site” button under Glamtabulous Glamazons in the right sidebar on the homepage. 2. You MUST comment on this post telling me what are your thoughts on Perplex. Don’t forget to leave your email address in the email field of the comment form. To make this easy you may use the tweet button in the bottom left hand corner of this post. Leave a comment on this post with your twitter name and a link to your tweet. Please make sure that your tweets aren’t protected so that I may verify that you did indeed tweet. For 5 extra entries– Post my giveaway on your blog/site or in your sidebar with a link back to the giveaway. Leave a comment on this post with a link to the post or your blog if posted in sidebar. This giveaway is open internationally. It is your responsibility to know your customs laws to ensure that you are able to receive the products. Once the items leave my hands, I am no longer responsible. Please follow the rules, if not you will be disqualified and your comments disregarded. The giveaway will end on Thursday, December 30th Friday, January 7th at 11:59pm EST. *I accidentally closed this giveaway a few days early (overwhelmed with the holidays and not paying attention, so sorry guys), therefore I am extending it for a few days. The winners will be chosen using random.com. I will contact the winners via email and you will have 48 hrs to respond before another winner is chosen. Such a pretty color. We can't wear polish in school, so my poor nails have been so ulgy..LOL! Woah this is a stunner from revlon. The first picture is out of this world and it is great to see how it looks under different lightings. Oh my, wouldnt mind wearing this shade. I dont think you can even find this in england. woah. it’s an awesome, interesting color. I’d love to rock it to work and more. very chic! I love this color but I can’t find it anywhere! i dont know how to subscribe via google friend connect but i have you on my google reader et my bloglovin and i wooooul love to win this polish because i just cant afford the chanel one! I think this polish is very interesting, it's nice to see two popular colours come together as one. I actually never knew purple could turn taupe and vice versa depending on the lighting, really cool. My recent post Coastal Scents Sale! I'm a follower via Google Friend Connect. I think this polish is a gem I've always wanted to have Chanel Paradoxal but there was no way I'm going to shell out the money for it. Drugstore dupes rule in my book . This polish is so pretty! I have really slept on this color. 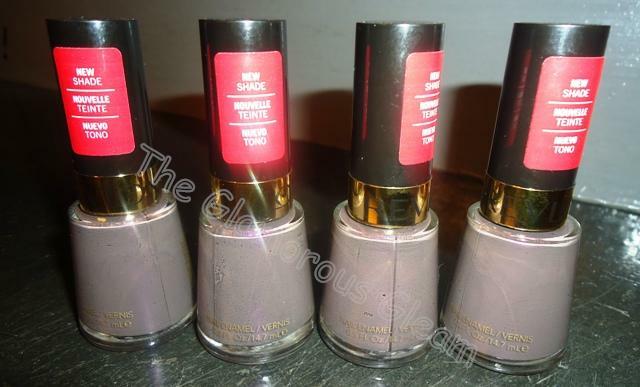 This shade is beautiful, I don't have anything in my collection like this… Enter me, please. I'm a follower as Nyunyu. Nice giveaway. I follow via email. I wish I owned this b/c like you I own nothing like it. I feel like it is so unique. Love, love, love the color!!! What's not to say about that gorgeous nail colour?! Not only is the formula supposedly a god-send, but the multifaceted colour is the bees knees! I love it and I want it, but I can't find it over here in Nassau, Bahamas; so hopefully i will win your giveaway hun. Great nailpolish color, looks good on you're nails! perplex is for me, complex personality and purple-lover! My thoughts on perplex wax the color was so nice and neat!Suits for me!And it really looks nice on your nails! Thnx for thsi great giveaway! I follow you via GFC as Anna. I follow you on Twitter. My Twitter name is @mymindsvoice. man.. it looks hot… it would be awesome to try it.. i love the way it looks on you..
Purplex is such an unique color, its like a gray and purple together and this finish of it is nice, hard to find in my area so I know its popular. Please include me in the giveaway. I'm a Follower on Google Friend Connect. I love this shade of purple/grey. It's very different looking and much cheaper than the Chanel! Hope I win. Thank you and happy holidays. I'm subscribing via Google Friend Connect: Tina Renee B.
I have been a follower since forever because you are so great. I love this color and would love to try it on my nails. Keeping my fingers crossed. "Happy Holidays!" I follow you via Google Friend Connect (windycindy)! I apologize for not commenting on the lovely shade Purplex is! Perplex looks ridiculously gorgeous on you. I feel the same way about Chanel polishes, I really can't see myself ever buying any. I just can't justify the price when there are other brands just as pretty for a lot less. Hi, I follow your blog publicly via Google Friend Connect as shala_darkstone. I love the Perplex color, especially the fine glitter in it. I follow you via GFC as Joy. Nice shade. I love purple. I love how it looks different colors at diff angles. My recent post BIG FYI- Urban Decay for 2!!!! I love taupey purples like this, I feel this one is great color, but we don't get special edition Revlons here. Looks way more purple than Paradoxal, at least in pics. Nail Enamels and have about a million but sadly I can’t find Perplex anywhere is Australia! I think it’s not released here yet, so I’m hanging out for it to say the least! If I win or get my hands on it some way or another I’ll let you know my thoughts, heard great things about it! Enter me please! I’m Bec and I follow your blog via GFC. I've never seen it…..but of course I've heard the buzz. lol! I need it! My thoughts is that is a really really pretty color, and it's a shame Revlon isn't selling this internationally. Need this one as well! OMG the colour is insaaane. This is a gorgeous color, so unique…Great giveaway! +2 Follow you on twitter as @monikaretnani and tweet here. +5 Post this giveaway on my giveaway page here. omg ive been looking for a color just like that smh at the fact that it was right under my nose….i absolutely love that color.